ProForm 790E elliptical is an exceptional value. 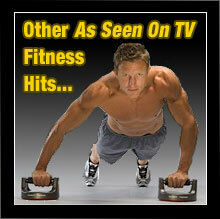 It offers a number of features that you’d normally only expect to find on much more expensive elliptical machines. ProForm is well known for offering better specs and features for the price than any other competitor and the 790E elliptical is certainly no exception. Featuring a 25 degree power ramp and an 18″ stride this elliptical could easily sell for much more than it’s very reasonable price. The 790E also includes an amazing 20 resistance levels, an 18″ stride and can handle a user weight of up to 325 lbs. It is also equipped with a premium quality sound system and dock for your iPod so that you can always stay motivated while working out. 18 Performance Workouts: Run faster, jump higher and get stronger with 18 Performance Workouts, each designed by a Certified Personal Trainer to help you push your limits and get you ready for whatever comes your way. 6 Weight-Loss Workouts: Great for anyone interested in losing weight! These workouts are designed to help you burn maximum calories. Each workout has a pre-determined time and resistance level to effectively maximize your workout time for increased calorie-burn. Dual-Grip EKG Heart Rate Monitor: Make the most out of every workout by monitoring your heart rate with these sensors that are built into the handlebars, ensuring you’re always in the right training zone for your goals. iFit Workout Card Technology: Lose weight, feel great and improve performance in just 8 weeks with interactive iFit Workout Card Technology! Each card is designed by a Certified Personal Trainer and plugs directly into the elliptical’s console, automatically adjusting your resistance while the voice of a personal trainer takes you through each workout. Upper Body Workout with Soft Grips: Burn more calories and add muscle definition with these upper-body arms that provide a great total-body workout and increased cardio benefits. Oversized, Traction Control Pedals: These large pedals allow you a number of different foot positions and provide great stability as you exercise. ClearView Backlit Display: Make the most out of every workout by monitoring your heart rate with these sensors that are built into the handlebars, ensuring you’re always in the right training zone for your goals. CoolAire Workout Fan: Stay cool and fresh during your workout with the innovative CoolAire Workout Fan. You’ll stay comfortable, enabling you to work out longer so you can reach your goals faster. The sophisticated fan is built right into the console, just like the AC in your car, allowing you to quickly adjust the settings. SMR Silent Magnetic Resistance: This smooth, frictionless resistance system allows you to adjust your workout intensity without interrupting your workout. Choose from several resistance levels to target specific workout and conditioning goals. 18" Stride Length: Enjoy long, full strides and develop long, lean muscles with this generous 18" stride length. 25° Power Ramp: Get better results with the Intensity Ramp. By changing the incline of your stride by up to 25 degrees, you can target specific muscle groups for faster results. You can isolate your glutes, quads and calves with a simple touch of a button. Supports user weight of up to 325 lbs. 1-20 Digital Resistance Levels: Digital resistance allows you to adjust your workout resistance for increased calorie burn and higher intensity. 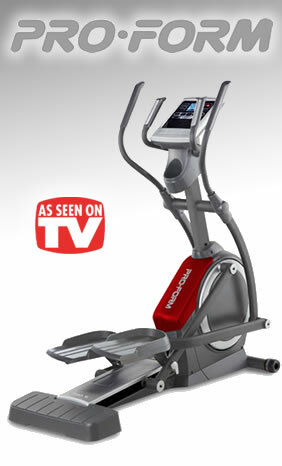 Warranty: The 790E elliptical comes with a Lifetime Frame Warranty and 1-Year Parts & Labor. The ProForm 790E elliptical is an exceptional and full-featured exercise solution that is designed to provide you with a vigorous and superior quality workout. The 790E elliptical from ProForm will have you getting fit and dropping those extra pounds before you know it. If you’re serious about getting into shape and staying that way ProForm offers the answer you’ve been looking for. What are you waiting for? 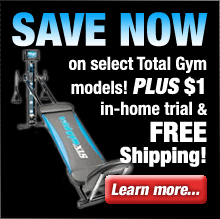 Order a ProForm 790E elliptical and get ready to get into the best shape of your life.